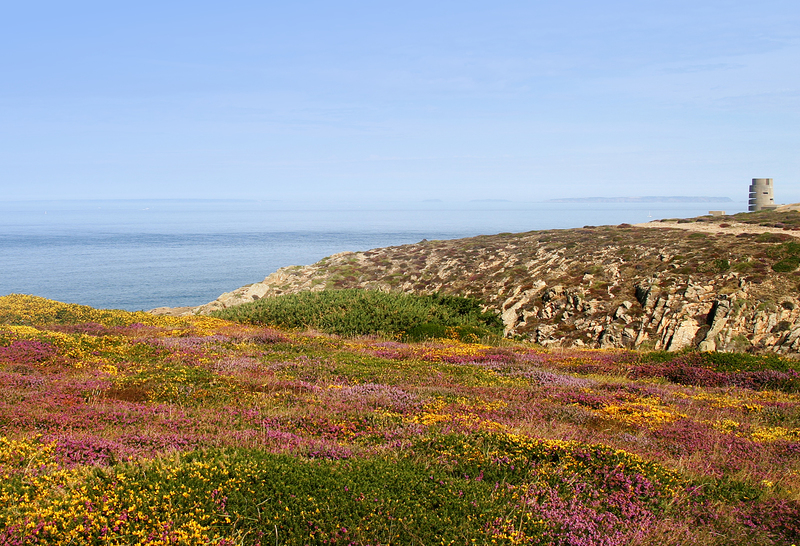 At the start of this month both pairs had built substantial nests using wool and horse hair to line the centre. On the 12th an egg was noticed in Arthur and Gwinny’s nest (SF3). From playing back footage we estimate it was laid around 10:30am. It was quite hard to identify a spherical shape 100% of the time as sometimes the wool covered the egg blurring the image. The female was occasionally sitting on the egg but very restless. 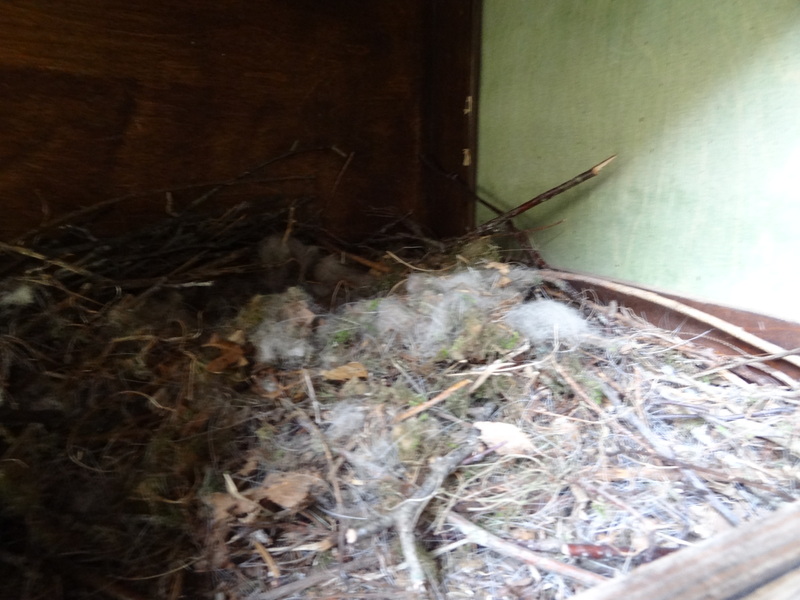 Nothing could be seen in Tristan and Issy’s nest (SF2). 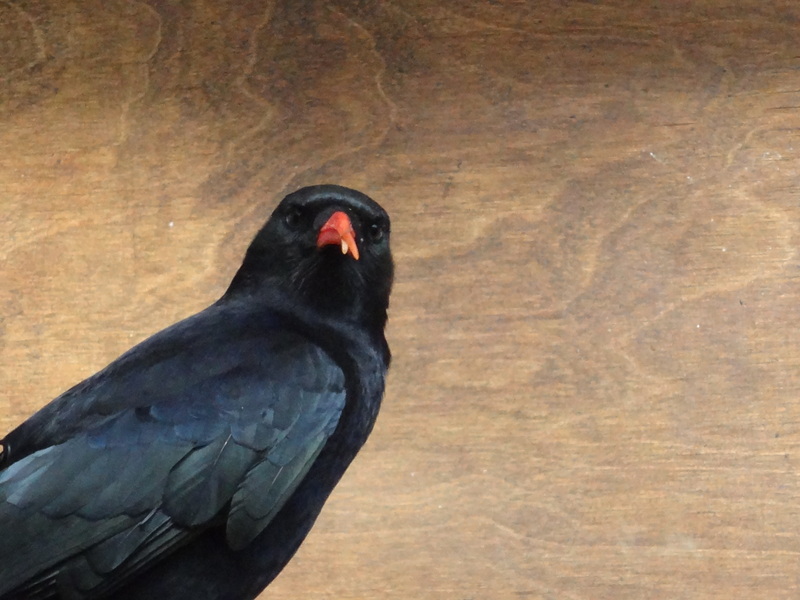 Two days later when the keeper entered the aviaries around 11:00 there was a broken eggshell at the front of SF3. More alarmingly there were two broken eggshells at the front of SF2. Playing back the footage it looks like the egg in SF3 accidentally cracked in the nest whilst the female was moving material around. It was cracked around 14:49 on the day we first noticed it. The day after we found the broken eggs the females were still sporadically sitting on the nests. At 17:55 we noticed an egg in SF3. When the keeper entered the aviary the next morning this egg was cracked on the floor. Playing back footage we saw that Arthur enters the nest at 09:57 pecks at the egg for a few seconds, leaves the nest, returns at 09:59 and removes the egg from the nest. It looks like he was eating the contents but not sure if this was the purpose for removing the egg. Whilst this is happening, the pair next door pecked aggressively at the hatch and vocalised a lot. They have removed nesting material that was touching the bottom edge of the hatch. We inspected the box and found that there is a 3-4mm gap along the bottom of the hatch which might be causing the disturbance. We applied duct tape to block off the light and any draught. The next day (17th) Gwinny was sitting more tightly on her nest and at 16:55 we noticed she had another egg. If they were not going to sit tight on this egg we planned to pull it for artificial incubation. However, when we went down at 08:20 the egg was on the floor once again cracked. 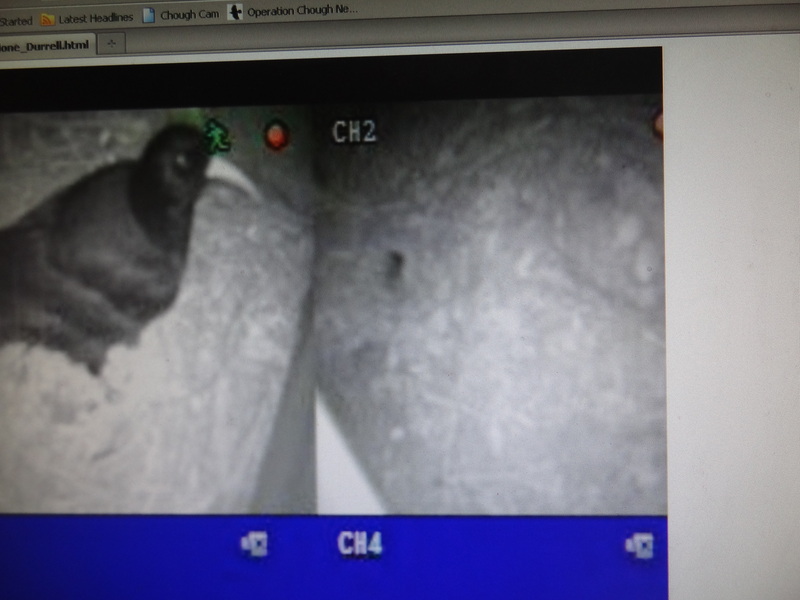 Viewing the footage it seems the female kicks the egg out at 08:10. 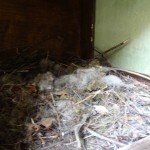 SF2 nest is still empty. Egg-laying stopped after this so in total Arthur and Gwinny (our previous breeding female) produced three eggs. Tristan and Issy produced four eggs. All of which were removed from the nest. 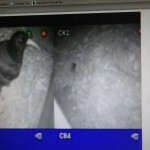 Nine days later on the 27th an egg was seen in Tristan and Issy’s nest. This appeared to be the same time-gap between first and second clutches at Paradise Park. However, from viewing footage the egg first appears on the 26th. This egg was successfully removed from the nest for artificial incubation and the female was given a plastic dummy egg. The egg was set in the Brinsea Octagon 20 at 37.6°C and 50% humidity. The dummy is a plastic egg we usually use for hottentot teal and had been painted to match natural colouration and patterning using Dulux emulsion paints. Since she had not been sitting on the other egg is was hard to tell if she took to it at first. The next day, the female was sitting on the dummy egg first thing. A second egg was noticed at 09:57 when she left the nest but she didn’t return. At 13:35 we swapped the egg for a dummy and set it in the Octagon. A third egg was visible 10:10 on the 30th and by the afternoon there were four eggs on the nest (2 dummies, 2 real). By this point the female had started to sit more often and we decided to leave her with these eggs. She has not laid any more eggs. Predicted hatch dates for the eggs are between 14th and 19th of May. Arthur and Gwinny continued to show little interest in their nest despite keepers adding fresh material. Unfortunately on 30th the keeper discovered that Arthur had broken the tip of his upper mandible. The break is approximately 2cm from the tip but it is still attached. We do not wish to risk breaking it further in a catch-up nor disturbing the female next door from sitting so he has been left alone. We continue to monitor his condition and assume he can eat the meat/egg mix but might not be able to pick up insects as easily. If he looks like he is becoming weak we will intervene. Nothing of note has occurred with the display flock this month. The male enters the nest at 07:54 on the 28th and attacks the camera then leaves. 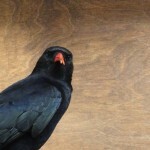 He repeats this behaviour at least three times resulting in the camera moving position. The female is on the eggs all during this incident.